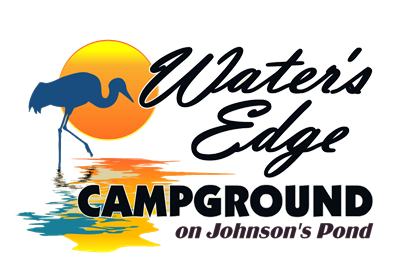 The rules of Water's Edge campground have been designed for your safety and comfort. Please read and obey all rules and posted signs. This property is privately owned. The camper accepts camping privileges with the understanding that he does hereby release the campground and employees of all liability for loss or damage to property, and injury to his person arising out of his use of its camping facilities. Furthermore, he agrees to indemnify the campground and its officers and employees, against claims resulting from loss or damage to property, or injury to persons of any member of the family or guest of the registered camper arising out of the use of its camping facilities. Thank You. Only one camper per site. Four people constitutes the number of people allowed for the site fee. However all visitors must report to the office to register. The speed limit in the campground is 10 MPH. Two cars per campsite, Extra vehicles may park in the lower parking lot. Golf carts and bicycles are allowed and must obey the speed limits. Please leave your campsite as clean as you found it. Pets allowed, one dog per site, must be on a leash at all times. Please clean up after your pet. Dog feces is a contaminant and is not safe for our children. Sites shall be kept in a well maintained condition, being free of unnecessary debris and clutter. No cutting through others campsites please. Strictly enforced, 10PM to 8AM Sun- Thurs and 11 PM to 8 AM Fri. and Sat. Please respect your neighbors. All minors must be at their own sites at quiet hours. No bright lights during quiet hours. All visitors must register at the office before entering the park. (this is the State Law). Up to 8 outside paying visitors are allowed per campsite. Gatherings of more than 8 must be approved by management. Visitors fees will apply. ($5 for day visitor and $10 for overnight.) No guest pets allowed please. Must be confined to fire places and fire rings. do not leave fires unattended. Put out your fire before checking out of your campsite. We will gladly credit you if you cancel three weeks prior to arrival date. We will credit money paid towards a camp site for a future stay. $20 administrative fee will be charged. Credits can't be used towards holiday weekends. We require a 1/3 deposit at the time advance reservations are made. All other monies shall be paid in full at the time of arrival. Cancellations will be accepted prior to two weeks of the scheduled arrival date. No refunds. Check in is between 3PM and 8PM. If you must arrive after 8PM please notify the office so check in arrangements can be made. Check out is 11AM on the day of departure. Please remember that our rules are strictly enforced so that every ones camping experience is an enjoyable one. A warning of 3 times may result in the loss of that privilege. Thank You in advance. 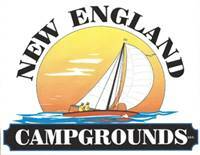 It is very important to our business that you keep a well maintained, neat and orderly campsite.